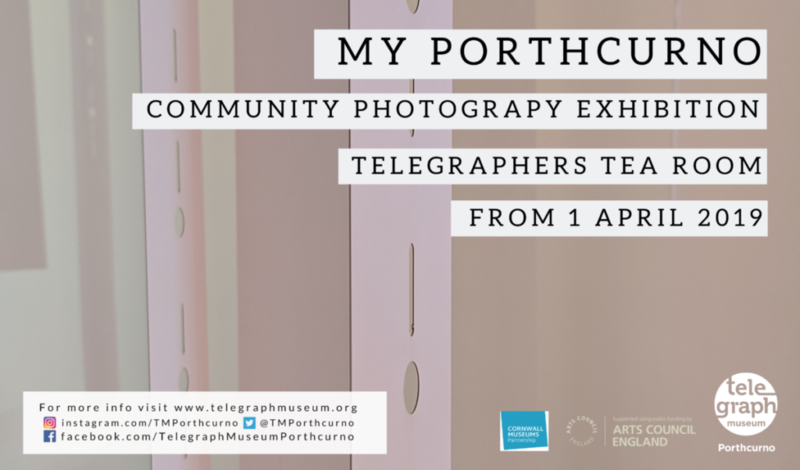 Telegraph Museum Porthcurno is showing off the creativity of our local community with an exhibition of photography in our Telegraphers Tea Room. The exhibition opens 1st April to coincide with the start of our 7-day summer opening times. Our community exhibition features winning and commended photographs as well as the work of all who entered. You will also find photographs by one of our resident Young Curators and our keen photographer-groundsman. The exhibition is the culmination of our community photography competition and guided photographer walks that took place earlier this year. This year we asked our local community to capture the best of our collections. Our objects tell a unique story starting with the 1870 Cable that connected Great Britain with India. A new addition to this year’s competition were guided tours around the museum’s galleries and exhibitions led by our resident photographer Rebecca Peters. The sessions were relaxed and used responsive methods of photography, guided by intuition and the creative eye. Participants were invited to explore the collections in close detail and to look for hidden narratives and perspectives. Our 2019 Community Photography project has been made possible by Cornwall Museums Partnership and Arts Council England through the NPO programme.